Its almost 8 o’clock, and I’m leaving from Anandarao circle in central Bangalore to the beach retreat of Gokarn on the Konkan coast, which i will reach early in the morning. Thereafter, i will try and get a boat to take me to Goa! Should be pretty exciting! 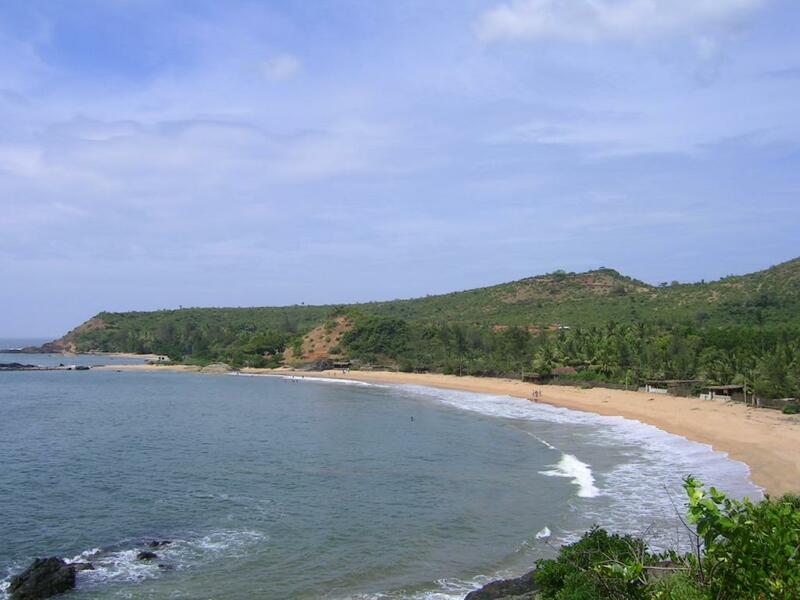 Early in the morning I reached the beautiful town of Gokarna. There, I visited my friend Rajib at the German Bakery on Kudle Beach, and he immediately hooked me up with a tattoo client! 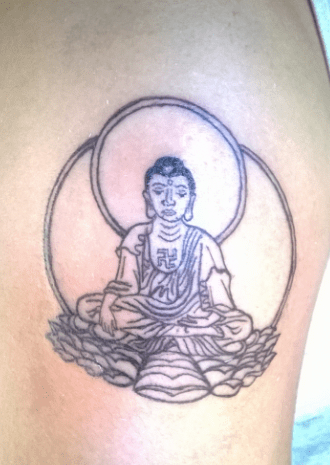 I tattooed a beautiful, clean meditating Siddhartha on the client’s deltoid. Yay now I have money for Dreambubble! Thereafter I left from Gokarna, only to endure a long, arduous journey with my heavy backpack, switching several buses and a ride standing near the obnoxious toilets in the general compartment of an express train, to reach Goa. You see, I was scoffed at by the various local fishermen at the various local beaches of Gokarna, when I attempted to hire them to brave the seas that I may alight upon Anjuna Beach in style! I found Ignatius’ tree huts at Club Cirrus after much difficulty in the dark (their tagline, quite unhelpfully being “Good Luck finding Us”), being barked at and surprised by various surprised nocturnal creatures, and finally put up in my hut in a tree! Called Shambhu for my wheels and set off to Westend, Saligao. Tushar is waiting for me, as is Khanna et al. Dreambubble is intense, met up with Tushar, it’s his birthday, so the celebration got even more special, we cut a very energetic birthday cake, and now we’re ripping it out there. Very attractive, energetic crowd and amazing music from an incredible lineup of some of the best psytrance artists!